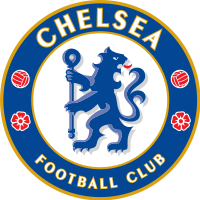 Tottenham vs Chelsea will be one of the more exciting matches of the English Premier League just before Christmas as both clubs are ranked among the top 5 in the league and are competing very hard to climb the top of the Premiership. The Tottenham vs Chelsea matchup also can swing either way as proven in the past. In the 2010-2011 season, Chelsea won 2-1 at Stamford Bridge while Tottenham drew 1-1 with Chelsea at White Hart Lane. The last time Tottenham defeated Chelsea was in the 2009-10 season with a 2-1 win at White Hart Lane. Most definitely, the home pitch advantage will play a crucial role for Tottenham as they have shown much success with Chelsea during home matches. 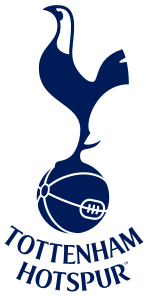 Tottenham’s success so far this season can be attributed to the addition of Emmanuel Adebayor to their roster, who combined with the likes of Rafael Van der Vaart and Jermain Defoe have produced many goals to book big wins. Tottenham has booked 6 straight Premiership wins from October 23rd to December 12th when Stoke City stopped them with a stunning 2-1 win. Spurs have had a relatively light schedule against bottom Premiership teams en route to their match with Chelsea. Chelsea, of course, have an equally star-studded roster with Fernando Torres, Frank Lampard, Daniel Sturridge and Didier Drogba. However, the team has shown some shaky performances and suffered some big losses, including a 2-1 home defeat against archrivals Liverpool, and a recent 2-1 Champions League away defeat to Bayer Leverkusen but thankfully managed to advance to next round defeating Valencia at home 3-0. Chelsea hasn’t been as strong in away games against top 5 clubs, and they also had a very tough schedule before playing Tottenham this wednesday. Before Tottenham, Chelsea had to face Liverpool (Lost) and Manchester City (Won) in the English Premier League and Valencia in the UEFA Champions League (Won). Betting opportunities in this thrilling London Derby? Well to be honest I would go for an over in goals match here (over 3 goals @ around 2.35) and with Chelsea last weekend shocking draw to Wigan, I will risk a Draw No Bet for the Blues (@ around 2.05).